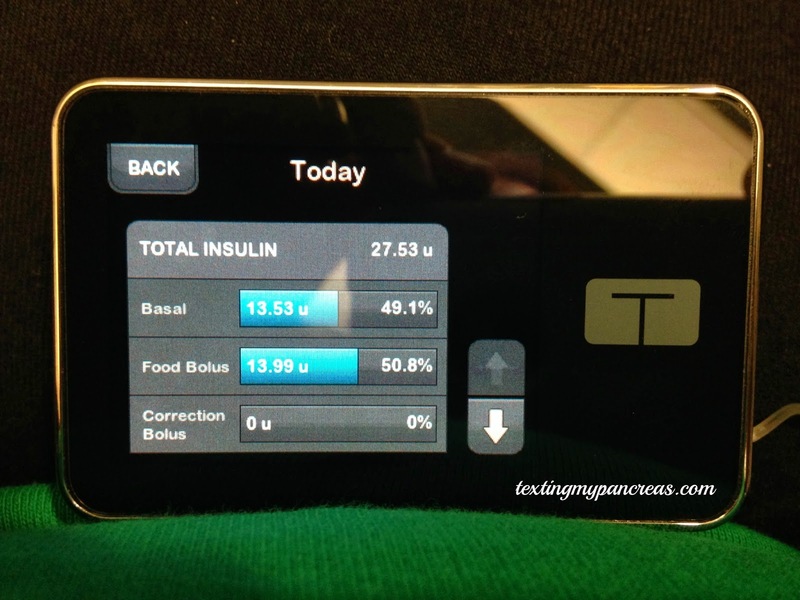 Texting My Pancreas: Helpful Little Screens. I don't know if it's due to the amount of diabetes stuff I've been trying to cram into my brain or what, but recalling something like what my fasting BG was even this morning is sometimes a task. 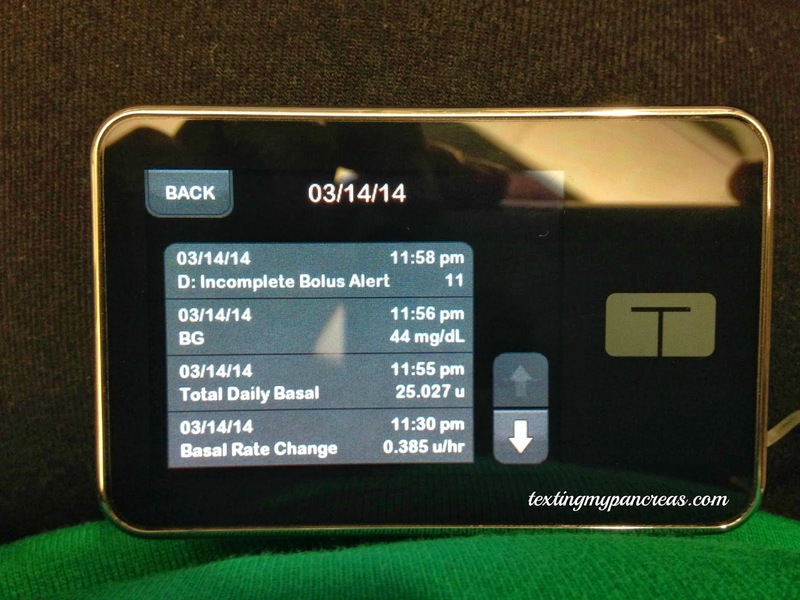 Did I bolus for lunch? When am I going to need to change the cartridge again? What's my carb ratio right now? Is this real life? Are we at Chili's? 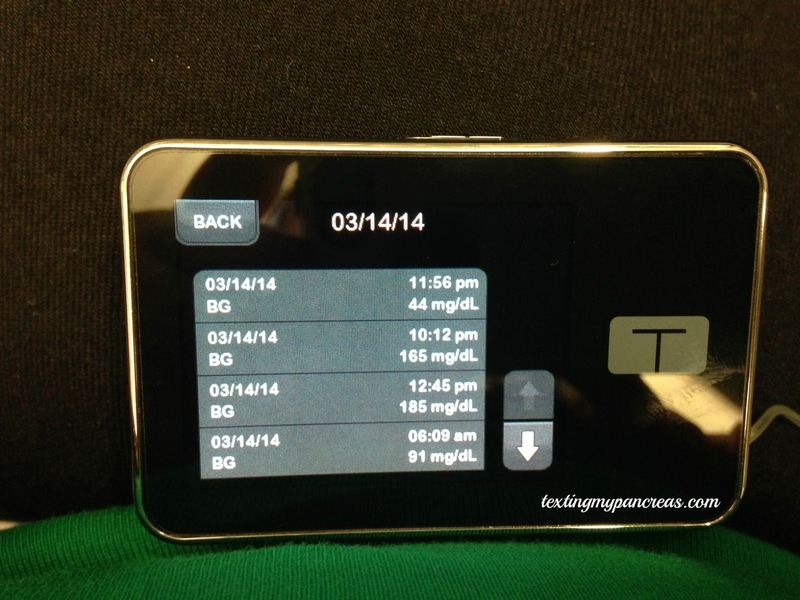 you'd want to know about what your insulin pump is doing right that minute. past 7, 14, or 30 days. all the time), your pump remembers for you. Struggling to recall all of the BGs you entered today? Dude's all over it. Tomorrow is my first visit with my endocrinologist after starting on the t:slim - let's see if she's as pleased with the availability of some of my data as I am. P.S. Things have been kinda quiet over here because I've been having fun posting over here instead. In my daydreams about "when I need a pump..." I've been thinking I'll go for that Snappy one when I read Melissa, for the Omnipod when I read Katie, and now this. TSlim is gorgeous. Also it has the cache of being affiliated with the Bionic P. The only pump I'm sure I won't want is a Ping, but only because I am sick of looking at its horrible font. You know how people usually conclude something bland like "different pumps are the best fit for different people" ? Well, I would LOVE to watch a FIERCE debate about which pump is the best for a totally cool, medium-athletic, adult female with great taste. But you're all so good-natured. I'm jealous of all those screens. That is great info. 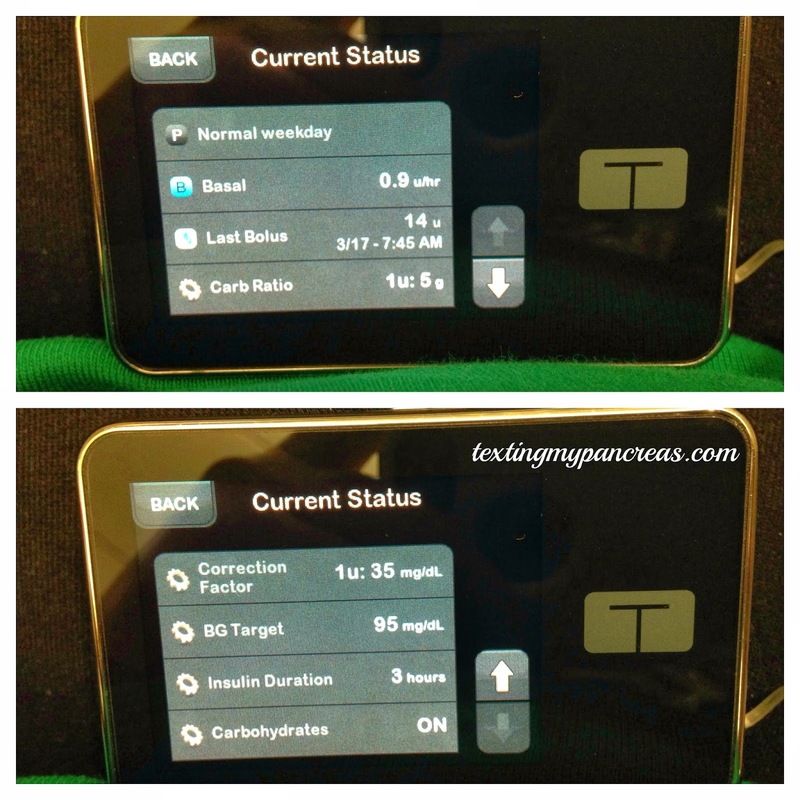 I didn't even know the t:slim existed when we ordered my pump. 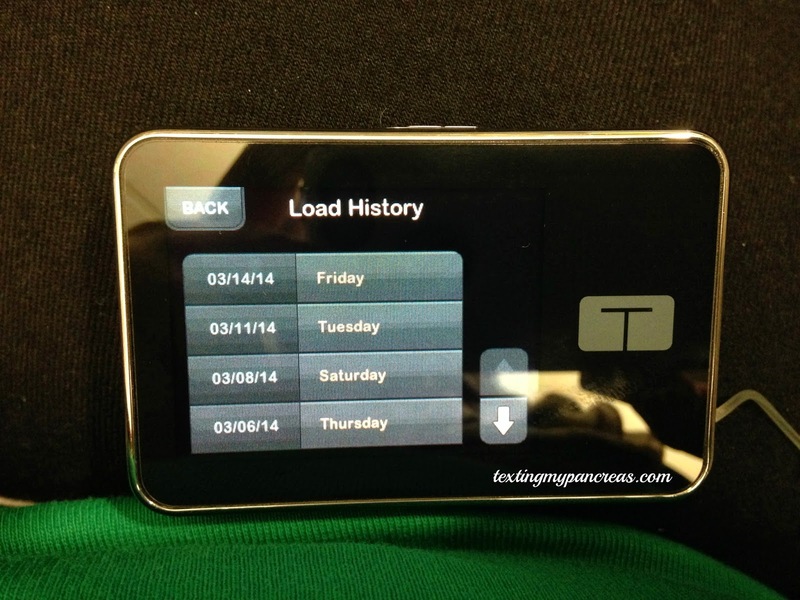 I could get a lot of that information from my Medtronic pumps, but it wasn't so beautifully laid out. Using a Ping now, I really miss that kind of information. Because I don't use the Ping remote, I have even less info.